The most effective pools to swim are undoubtedly indoor olympic pools. 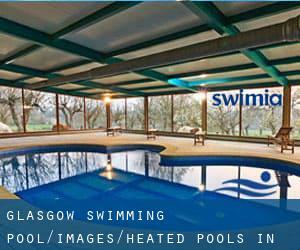 Most in the Heated Pools in Glasgow present both open lanes for independent swimming and also guided activities like water aerobics or aquabike. Please, use the make contact with information provided at each pool profile. There are often discounts accessible to senior citizen and tiny children. Find out by contacting your nearest pool in Glasgow. Swimia.com has essentially the most up-to-date database about Swimming Pools. 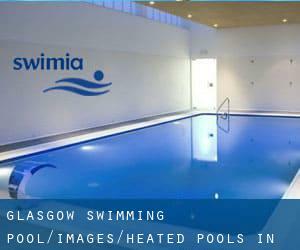 Thanks to some new Heated Pools in Glasgow submitted every day, Swimia.com is increasing everyday the number of stored pools. Please don't hesitate to make contact with us should you come across any inaccurate or incomplete details. 61 Arlington Street , Glasgow , Scotland , UNITED KINGDOM (Postal Code: G 3 6DT). This sports centre offers 21 meters, 6 feet 2in maximum depth, Indoors. Contact facts for this Swimming Pool for instance phone number and email address are number. Summit Centre , 11 Minerva Way , Finnieston , Glasgow , Scotland , UNITED KINGDOM (Postal Code: G 3 8AU). Among all the activities offered by the centre, for anybody who is interested in swimming you will enjoy 20 meters x 11 meters, Indoors. Just in case you want to contact this Swimming Pool prior to dropping by, we only know the phone number. 240 Onslow Drive , Denniston , Glasgow , Scotland , UNITED KINGDOM (Postal Code: G31 2QF). Among all the activities offered by the centre, if you're interested in swimming you can take pleasure in 25 meters, Indoors. Just in case you want to make contact with this Swimming Pool before dropping by, we only know the phone number. Kay Street , Springburn , Glasgow , Scotland , UNITED KINGDOM (Postal Code: G21 1JY). Swimmers like you reported 25 meters, Indoors. Unfortunately we do not have the email address of this Pool, but we can provide you with the phone number. Braidholm Road , Giffnock , Glasgow , Scotland , UNITED KINGDOM (Postal Code: G46 6EB). This sports centre offers 25 meters, Indoors. Contact details for this Swimming Pool for instance phone number and email address are number. 34 Gairbraid Avenue , Glasgow , Scotland , UNITED KINGDOM (Postal Code: G20 8YE). Swimmers like you reported 25 meters, 6 lanes, Indoors. Unfortunately we do not have the email address of this Pool, but we can give you the phone number. 12 Cranworth Street , Hillhead , Glasgow , Scotland , UNITED KINGDOM (Postal Code: G12 8BZ). Among all of the activities supplied by the centre, if you are interested in swimming you'll take pleasure in 30 yards x 9 meters, 0.9 meters - 2 meters depth, 0.9 meters - 2 meters depth, Indoors. If you should make contact with this Pool, email address and phone number are both number. 10 Braid Square , St. George´s Cross , Glasgow , Scotland , UNITED KINGDOM (Postal Code: G 4 9YB). Among all the activities offered by the centre, in case you are keen on swimming you can expect to appreciate 25 yards, Indoors. Just in case you would like to contact this Swimming Pool just before dropping by, we only know the phone number. Danes Drive , Scotstoun , Glasgow , Scotland , UNITED KINGDOM (Postal Code: G14 9HD). Among all the activities offered by the centre, for anybody who is thinking about swimming you will appreciate 25 meters, 10 lanes, Indoors. Just in case you want to make contact with this Swimming Pool before dropping by, we only know the phone number.